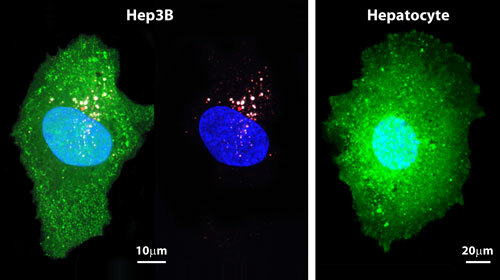 (Nanowerk News) Melding nanotechnology and medical research, Sandia National Laboratories, the University of New Mexico, and the UNM Cancer Research and Treatment Center have produced an effective strategy that uses nanoparticles to blast cancerous cells with a mélange of killer drugs. "The enormous capacity of the nanoporous core, with its high surface area, combined with the improved targeting of an encapsulating lipid bilayer [called a liposome], permit a single 'protocell' loaded with a drug cocktail to kill a drug-resistant cancer cell," says Sandia researcher and UNM professor Jeff Brinker, the principal investigator. "That's a millionfold increase in efficiency over comparable methods employing liposomes alone — without nanoparticles — as drug carriers." The nanoparticles and the surrounding cell-like membranes formed from liposomes together become the combination referred to as a protocell: the membrane seals in the deadly cargo and is modified with molecules (peptides) that bind specifically to receptors overexpressed on the cancer cell's surface. (Too many receptors is one signal the cell is cancererous.) The nanoparticles provide stability to the supported membrane and contain and release the therapeutic cargo within the cell. A current Food and Drug Administration-approved nanoparticle delivery strategy is to use liposomes themselves to contain and deliver the cargo. In a head-to-head comparison of targeted liposomes and protocells with identical membrane and peptide compositions, Brinker and colleagues report that the greater cargo capacity, stability and targeting efficacy of protocells leads to many times greater cytotoxicity [destruction] directed specifically toward human liver cancer cells. Another advantage to protocells over lipsomes alone, says lead author Carlee Ashley, a Harry S. Truman post-doctoral fellow at Sandia's California site in Livermore, is that liposomes used as carriers need specialized loading strategies that make the process more difficult. "We've demonstrated we can just soak nanoparticles to load them with unique drug combinations needed for personalized medicine. They effectively encapsulate toxins as well as siRNA [ribonucleic acid] that silence expressions of proteins." RNA, the biological messenger that tells cells which proteins to manufacture, in this case is used to silence the cellular factory, a way of causing apoptosis or cell death. "Si" is short for "silence." A library of phages — viruses that attack bacteria — was created at UNM's nationally accredited cancer center by collaborator David Peabody. This permitted researchers to expose the phages to a group of cancerous cells and normal cells, allowing identification of peptides that bind specifically to cancer cells but not normal cells. "Proteins modified with a targeting peptide that binds to a particular carcinoma exhibit a 10,000-fold greater affinity for that cancer than for other unrelated cells," Ashley said. Brinker adds, "A key feature of our protocell is that its fluid bilayer allows high-affinity binding with just a few of these peptides overall. This reduces nonspecific binding and immune response." The method is being tested on human cancer cells in vivo, and will shortly be tested on mouse tumors at UNM's cancer center. The researchers continue to optimize the size of the porous silica particle, which is formed by aerosolizing a precursor solution. The porous nanoparticle fabrication process — called evaporation-induced self-assembly, and pioneered in the Brinker lab — produces particles from 50 nanometers to several microns in diameter. Particle sizes between 50 and 150 nanometers in diameter are ideal for maximizing circulation and uptake into cancer cells, so the particles are preselected by size before their formation into protocells. "Their overall dimensions determine how widely they'll be distributed in the bloodstream," Brinker said. "We're altering our synthesis to favor the smaller sizes." Also of importance to the circulation time of the particle are its electrical charge and hydrophobicity [avoidance of water], which can improve or detract from its ability to remain free of unwanted molecular or energetic entanglements. The method may be commercially available in five years, researchers estimate. Brinker is a Sandia Fellow and UNM Regent's and Distinguished Professor of Chemical and Nuclear Engineering and member of UNM's cancer center. Other institutions involved in the research include the University of California Davis, and the University of Waterloo in Canada.